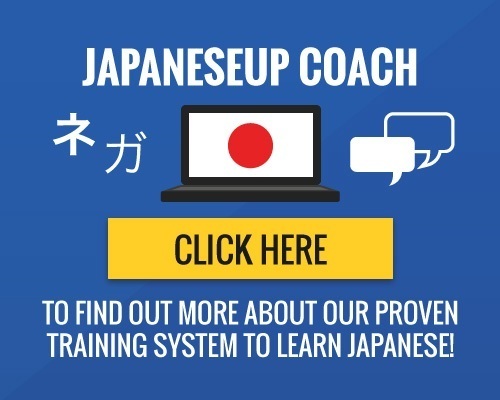 On this page you will find some useful Japanese phrases for you to learn. 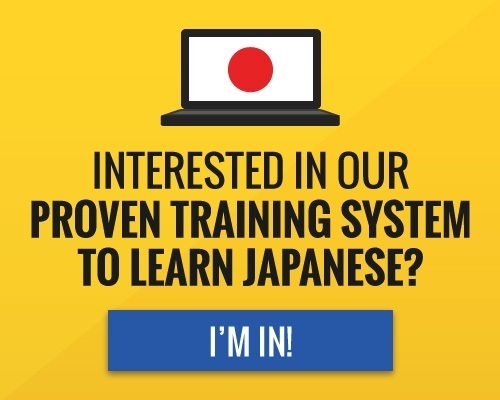 First, we will start with a few tips on how to start learning the Japanese language. Then, you will find a player where you can hear the audio pronunciation for the words. Click on the ‘Play’ button and then click on the back and forward buttons to find the words you would like to hear. First, think about why you want to learn Japanese. 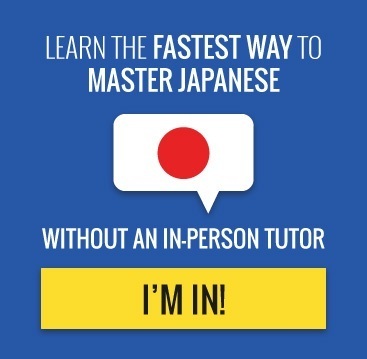 Learning a new language can be a big time commitment, so consider how much time you can spend learning Japanese. If you’re going to Japan for a vacation or brief visit, concentrate on learning some key phrases phonetically. Knowing how to say even a few words will let you communicate, and you’ll start to understand what others are saying to you. Phonetic learning will limit you; you will not be able to comprehend any written Japanese, such as signs and newspapers. To reach a higher level of comprehension, lessons with audio and written elements are necessary. To get the best return on these lessons, studying regularly is very important! No matter what type of course you follow, always keep in mind that you should take advantage of any chance you get to practice the language, however the occasion arises. When you’re in Japan, don’t worry about what your level of Japanese is, just try to communicate! The people you meet will appreciate every effort you put into speaking the language. Speaking (and understanding what is said to you) may be hard at first, but it will get easier with every word. Here are some simple Japanese phrases, Japanese love phrases and funny Japanese phrases. If you’re a gamer, you may like to check out common Japanese phrases for gaming. If you want to read and recognize Japanese signage, you can learn some basic Japanese kanji. Tip: A good online dictionary and translator I use is Weblio. Click Play below to listen to some basic Japanese phrases. Text in italic font style are Japanese phrases translations. All of these are my personal belongings. Subete watashi no mochimono desu. Nani ka mondai ga arimasu ka? Watashi ni Tegami ga kite imasen ka? Kore wa anata no mono deshou ka? Anata wa Americajin desu ka? Konya wa ohima desu ka? Are you going to inspect my baggages? Watashi no nimotsu o oshirabe ni narimasu ka? Youi wa ii desu ka? Go koufuku o inorimasu! / Go takou o inorimasu! Umaizo! / Dekashita! / Burabou! / Appare! Choushoku ga dekite orimasu. / Shokuji ga dekite orimasu. Can we go there by bus? Kuruma no unten ga dekimasu ka? Can you drive for me? Watashi wo kuruma ni nosete kuremasen ka? Nihon no tabemono ga taberaremasu ka? Can you eat Korean food? Kankoku ryouri o taberaremasu ka? Ton demo nai. / Dame desu. Mochimono wo kakunin shite kudasai. Genki o dase! / Genki o dashite kudasai!/ Shikkari shiro! Ohairi nasai. / Douzo haitte kudasai. / Douzo agatte kudasai. Kore o honyaku shite kudasai. Kamera o motte kimashita ka? Yuube wa shibai o mimashita ka? Asera nai. / Awate nai de. Enryo naku watashi o yobi nasai. / Enryo naku watashi ni denwa nasai. Kuyokuyo suru na. / Shinpai nai yo. Watashi ni sansei dewa nai no desu ka? Yasai wa tabete imasu ka? Do you enjoy your vacation? Yasumi wo tanoshinde imasu ka? Do you go to the office every day? Mainichi kaisha e ikimasu ka? Mibun shoumeisho wo omochi desu ka? Empitsu o motte imasu ka? Hoka no iro wa arimasen ka? Kanojo o shitte imasu ka? Kare o shitte imasu ka? Do you know Tanaka’s telephone number? Tanakasan no denwa bango o shitte imasu ka? Do you know when is his birthday? Kare no tanjoubi wa itsu ka shitte imasu ka? Kazoku ni aitai desu ka? Watashi no koto o oboete imasu ka? Do you want to eat now? Ima oshokuji nasai masu ka? Dochira demo yoroshii. / Dochira demo ii desu. Excuse me, this my seat. Shitsurei desu ga, koko wa watashi no seki desu. Excuse me, what place is this? Sumimasen ga, koko wa doko desu ka? Excuse me, you’re stepping on my foot. Sonna koto wa wasure nasai. Nani ka tsumetai nomimono o kudasai. Give me two hamburgers, please. Shinnen omedetou gozaimasu! / Akemashite omedetou gozaimasu! Have you even been to Japan? Nihon ni itta koto ga arimasu ka? Kare wa niku o tabemasen. Kare wa watashi no tomodachi desu. Kare wa watashi no oniisan desu. Kare wa watashi no otouto desu. Ugoku na! / Sono mama! Denwa o kirazu ni omachi kudasai. Hope to visit your country soon. Oki ni iru to iin desu ga.
Ogenki desu ka? / Gokigen ikaga desu ka? Kono goro dou desu ka? How cold is the weather? Samusa wa dono gurai desu ka? How do you find Japan? Nihon wa dou desu ka? Sore wa ikaga desu ka? Sore wa Eigo de nanto iimasu ka? Sore wa Nihongo de nanto iimasu ka? How do you say it in Filipino? Sore wa Firipingo de nanto iimasu ka? How do you use the chopsticks? Hashi wa donoyou ni tsukaimasu ka? Eki wa dono gurai tooi desu ka? Kare wa ikaga desu ka? Kanojo wa ikaga desu ka? / Kanojo wa genki desu ka? Sore wa dou desu ka? Otenki wa dou desu ka? Kore wa dou desu ka? Akachan wa genki desu ka? / Akachan wa dou desu ka? Kazoku no minasan wa ikaga desu ka? Otousan wa genki desu ka? / Otousan wa dou desu ka? Okaasan wa genki desu ka? / Okaasan wa dou dese ka? Nihon ni kite dono kurai ni narimasu ka? How long have you been in the Philippines? Firipin ni kite dono kurai ni narimasu ka? Dorehodo mattara ii deshou ka? Itsu made kochira ni irasshaimasu ka? Okosan wa nan nin desu ka? / Kodomo wa nan nin desu ka? How many kilos is that? Sore wa dono kurai no omosa desu ka? How much is it to go there? Asoko made iku noni ikura gurai kakarimasu ka? Watashi no kyuuryou wa ikura desu ka? Are wa ikura desu ka? Nyuujouken wa ikura desu ka? Ryoukin wa ikura desu ka? How much is this in dollars? Doru dewa ikura desu ka? Oshigoto wa ikaga desu ka? Goryokou wa ikaga deshita ka? Nanto kimi wa wakai no daro! I am deeply grateful for your kindness to me. Goshinsetsu o fukaku kansha shimasu. I am going to the airport. Watashi wa hikoujou e ikimasu. Watashi wa youbinkyoku e ikimasu. Watashi wa kekkon shite imasu. Watashi wa Nihonjin dewa arimasen. I am not a Filipino. Watashi wa Firipinjin dewa arimasen. Isogashiku arimasen. / Hima desu. Gomen nasai. / Shitsurei shimashita. I am sorry that I can’t come. Taihen tsukarete imasu. / Sukkari tsukare mashita. I am surprised to see it. Ni juu nana sai desu. Oaishite taihen ureshii desu. / Oaidekite taihen ureshii desu. Watashi wa anata no tomodachi desu. Watashi wa kuruma no unten ga dekimasu. Watashi wa Nihongo ga hanasemasu. Watashi wa Eigo ga hanasemasu. I can speak Japanese a little. Sukoshi dake Nihongo ga hanasemasu. Watashi wa kaze wo hikimashita. I do not dye my hair. Anata no ossharu koto ga wakarimasen. I don’t expect something in return. Okaeshi wa kitai shite imasen. I don’t have an ID. Mibun shoumeisho wa motte imasen. Watashi wa Nihongo ga dekimasen. Watashi wa Eigo ga dekimasen. Watashi wa Firipingo ga dekimasen. Itsu kaette kuru ka wakarimasen. Watashi wa memai ga shimasu. Kyou wa nanimo shitaku arimasen. Nemui desu. / Nemutai desu. Taijuu ga ichi kiro fuemashita. I got used to hard work. Watashiwa tsurai shigoto ni nareta. I have a driver’s license. Unten menkyosshou wa motte imasu. Watashi wa netsu ga arimasu. I have a good neigbors here. Kinjo no hito wa mina ii hito bakari desu. Watashi wa Nihon e itta koto ga arimasen. I have to prepare my things. I hope for your good health always. Itsumo ogenki wo inotte imasu. I hope for your prompt recovery. I like basketball very much. Basuketto bouru ga dai suki desu. Watashi wa sore mo suki desu. Koko ga ki ni irimashita. Watashi wa Tokyo ni sunde imasu. Watashi wa gakkou no chikaku ni sunde imasu. I’ll be leaving next month. I’ll be leaving next week. Watashi wa supootsu ga suki desu. Watashi wa nani mo yara nai. / Nani mo shite imasen. Koko desu. / Koko ni imasu. Densha ni noriokure mashita. / Kisha ni noriokure mashita. Anata ga inai to sabishii. Watashi wa anata ga inai node taihen sabishii. Sore o kiite taihen ureshii. I’m very sorry, I can’t. I shall be pleased to go with you. Kare wa NihonJin desu ka? Kare wa Firipinjin desu ka? Kare wa anata no shinseki desu ka? Kore wa tadashii desu ka? Taisetsu na koto desu ka? Sore wa chikaku desu ka? Watashi wa sakuya juubun ni nemutta. Kanojo wa rusu desu ka? Juuman en de juubun desu ka? Sore de zembu deshou ka? Are wa anata no desu ka? Kono fukin ni ginkou ga arimasu ka? Kore de ii desu ka? Kono seki aite imasu ka? Kore wa anata no desu ka? Sore wa baai ni yorimasu. Ni awa nai. / Ni ai masen. Ni au. / Ni aimasu. It is cold, isn’t it? It is five thousand yen. Kore wa daiji na koto desu. Sore wa daiji na koto de wa arimasen. It is one hundred pesos. Sore wa hyaku peso desu. Fukanou desu. / Sore wa dekimasen. Sore wa watashi no mono desu. Kore wa oui desu. / Mou takusan desu. It’s my first time here in Japan. Nippon ni kitano wa hajimete desu. Ame ga fura nai. / Mou ame wa futte inai. It’s okay. / It’s all right. Mada ame ga futte imasu. Kyou wa kanari samui desu. It’s very nice of you. Sore wa anata no desu. It was very hot yesterday. Kinou wa kanari atsukatta desu. Watashi wa kono tegami o kakitome ni shite morai tai. I want to buy a TV set. Terebi wo kaitai to omotte imasu. Kouza wo torikeshitai no desu ga. I want to deposit money. I want to develop these pictures. Kouza wo hirakitai no desu ga. I want to make a withdrawal. Okane o hikidashitai no desu ga. I want to work abroad. Watashi ga umareta no wa senkyuuhyaku kyuujuunen desu. I was born on Septermber 7, 1998. Watashi wa sen kyuu hyaku kyuuju hachi nen kugatsu nanoka ni umare mashita. I will accompany you there. Kesshite anata no koto wo wasuremasen. I will be there for three months. Kochira ni sankagetsu taizai shimasu. I will call you up. Watashi wa ato kara mairimasu. Dekiru koto wa nandemo shimasu. I will go to the bank tomorrow. I will introduce you to Mr. Hirai. Asu no asa hayaku shuppatsu shimasu. Watashi wa kyou shuppatsu shimasu. I will meet you on Sunday. I will pay for the excess. Watashi wa isshuukan barai ni shimasu. I will rest for a while. Nani ga dekiru ka kangaemasu. I will start working tomorrow. I will take this room.